After a little time with the Viper V370 RGB 7.1 headset, we found that it is capable of providing an enjoyable gaming experience. There are various aspects of the Viper V370 that are nice to have, such as the included protective bag and replacement earcups. Though the strongest aspect of the V370 is that it does have good, long lasting comfort that is great for long sessions. We also particularly enjoyed the onboard volume dial and auto mute microphone features. Some may prefer an in-line remote, but they often create a weak point in the cable that can be the cause of the loss of sound during use. On further reflection, we felt it was important to address a few questions, such as 'Does it really represent good value?'. If you have a fairly recent, mid-range motherboard or beyond, it is fair to say that the integrated audio solutions are becoming rather good for both input and output. So using an entry level USB headset is unlikely to be a better choice over a similarly priced analogue headset. Sure, you will lose out on RGB lighting (renowned for making headphones sound better), but that is it. The virtual 7.1 surround isn't actually something you will miss out on either, firstly, its worth noting that good stereo surround is just as likely to give you good spatial awareness when compared to most virtual 7.1 solutions, and if you insist on a virtual 7.1 surround rendering, you can use one of the various third party virtual surround modes available: including Windows virtual surround (Windows 10), your motherboard/soundcard virtual surround mode via software/drivers, or even Razer's Surround Sound via Razer Synapse (Pro version free with any Razer product). So virtual surround isn't really something that is exclusive to USB headsets anymore, and it is worth shifting USB headsets to focus more on the quality of the DSP/audio processing as a priority, than simply using the DSP to tick the v7.1 box. 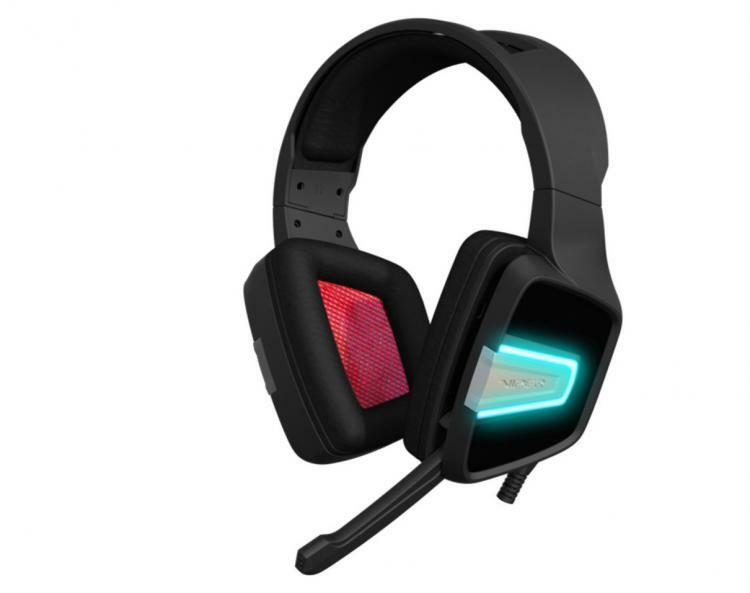 There are other advantages of going with an analogue headset too, such as cross platform compatibility, and you are more likely to get better value by doing away with all the unnecessary features. One of the biggest upsets about the V370 was the poor microphone. We found that voice pickup was rather quiet, yet was apt at picking up lots of background noises and interference. Adding to the struggle, is an inflexible boom microphone that is too short to reach anywhere near your mouth. Sure we love that it is auto-muting, but that doesn't really help improve your conversation. If the cost that went into the somewhat unnecessary extras, instead went into the headset itself, we wonder what sort of product the Viper V370 could have been. A reduction in weight, improved drivers capturing more details in the mid-range and richer, more natural bass response? For £40, we can see that Patriot aimed to make the Viper V370 a high-value gaming headset that has more than just the 'of the moment' features. Though with each thing added, more compromises were made. The result is a comfortable headset that generally misses the point elsewhere.